A winning combination of style and functionality, our Oolong table lamp is simply stunning. This monochrome beauty would fit into so many interior styles the possibilities are endless. We think it’d look rather lovely in a cool kids’ bedroom. This dinky light gives the perfect glow lamp for a bedtime story. Zzzzzzz. 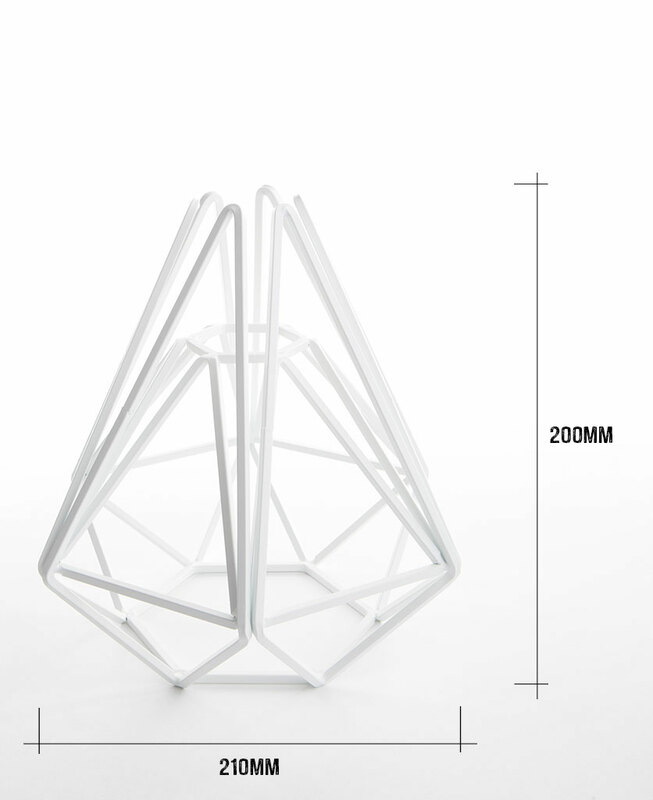 What do we want… A beautiful ready-made, geometric cage table lamp. And when do we want it? Now! Well seeing as you asked so nicely, that’s exactly what us lovely folk at D&R have designed and lovingly made for you. 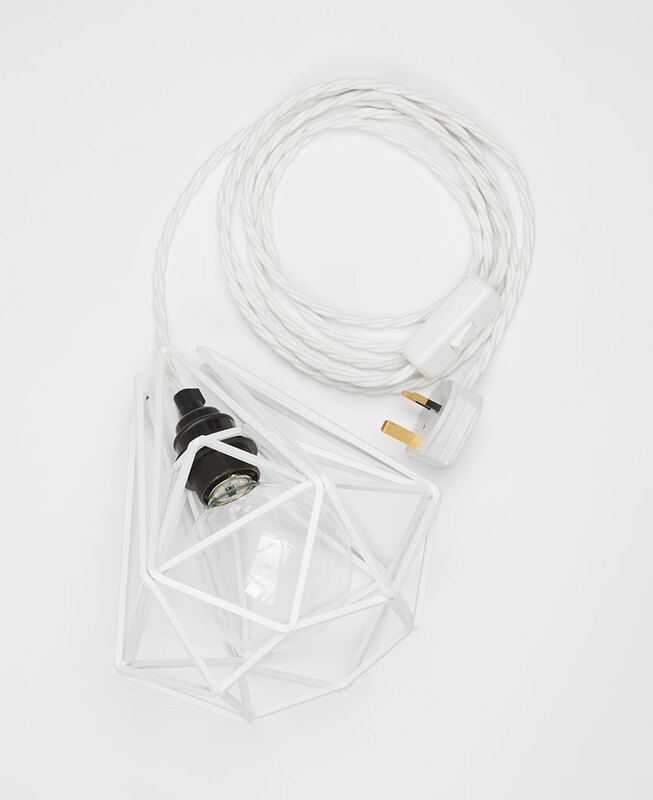 You don’t even have to think about matching a cord and bulb as we’ve done that bit too. All that’s left for you to decide is where to put this little beauty. So we’ve been thinking about this too (we do a lot of thinking). It would frankly be easier to tell you where you can’t put this versatile little lamp, but as the list would be so short that would be a bit of a cop-out, so here goes. For a timeless feel, match it up with grey tones. 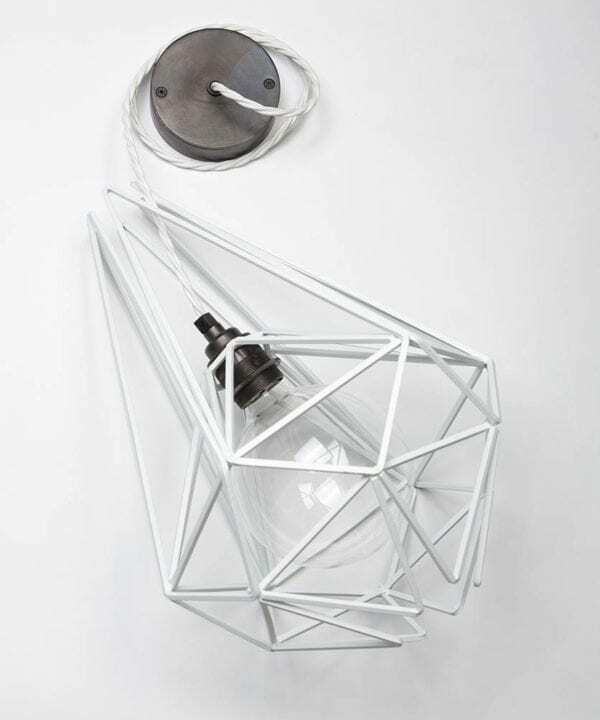 Switch it on and the light will cast the most amazing shapes on your wall. If you’re lucky enough to have any exposed brick in your home then it would be an interior design crime not put one of these by it! Desks, side tables, shelves, bedside cabinets, mantelpieces, you name it, the Oolong cage lamp will sit very happily on them all. And if you love finishing touches as much as we do then have a peep at our gorgeous white switches, dimmers, and sockets. 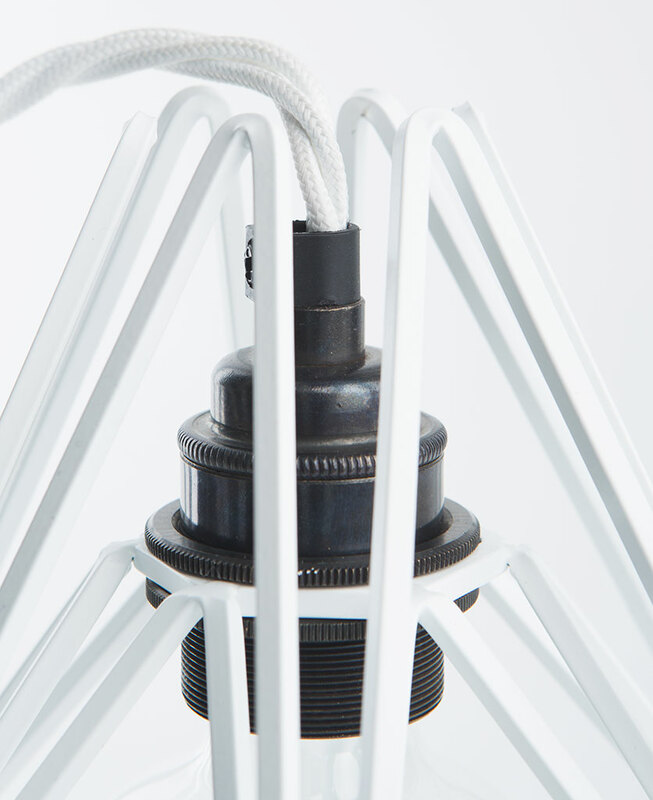 Each lamp is fully assembled with cage light shade, an antique black threaded E27 bulb holder, a 3m length of white twisted fabric cable, white inline switch, white 3 amp plug and a globe hidden filament LED bulb in either clear (ambient) or frosted (brighter).